Call me crazy, but I absolutely LOVE teaching fractions!! Many upper grade teachers I know dread tackling fractions each year. NOT ME!! It's something I always look forward to. 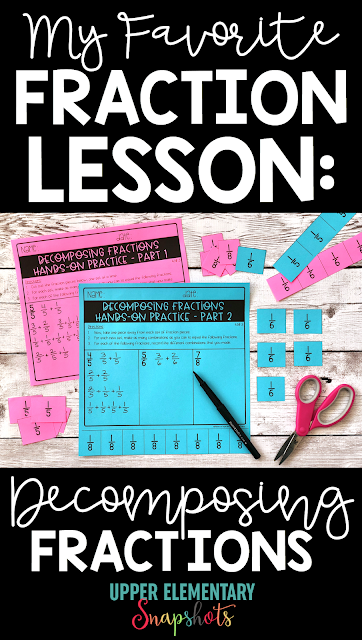 As I prepare to teach fractions to my 5th graders this year, I thought I would share my favorite fraction lesson... DECOMPOSING FRACTIONS!! 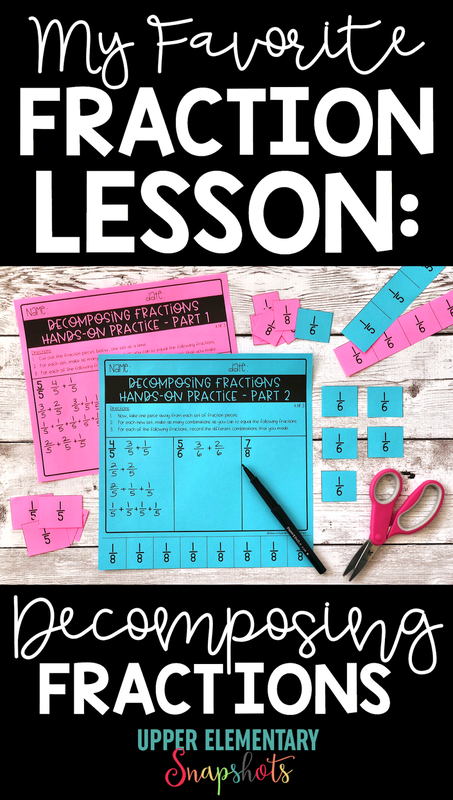 When students are in the primary grades, developing number sense and learning about place value, teachers spend a lot of time showing students how to decompose numbers. This same strategy is just as important when teaching upper grade students about fractions. In my classroom, I like to start with a hands-on approach. I like students to be able to take a fraction, break it into pieces, and manipulate those pieces to see how they come back together in different ways. I have found that it's easiest to start with fractions that are equivalent to one-whole. 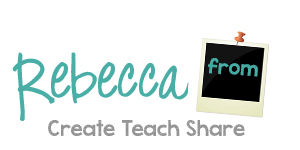 Here is an activity that I use to get students started. Students manipulate the fraction pieces to make different combinations that equal their desired fraction. Then they record the combinations as they go. So, why is this my favorite fractions lesson?? Once my students spend a couple days breaking down fractions, EVERYTHING ELSE comes so much EASIER to them. Adding and subtracting fractions just makes sense. Students no longer make the mistake of adding both the numerator and the denominator when adding two fractions. They automatically know that the denominator stays the same. Decomposing fractions also helps later with converting mixed numbers to improper fractions and vice versa. With a solid foundation in these concepts and skills, students are ready to move on to the more complicated standards. Here is a copy of the activity that I use when introducing this standard. I copy it back to back, and the fraction strips match up nicely. 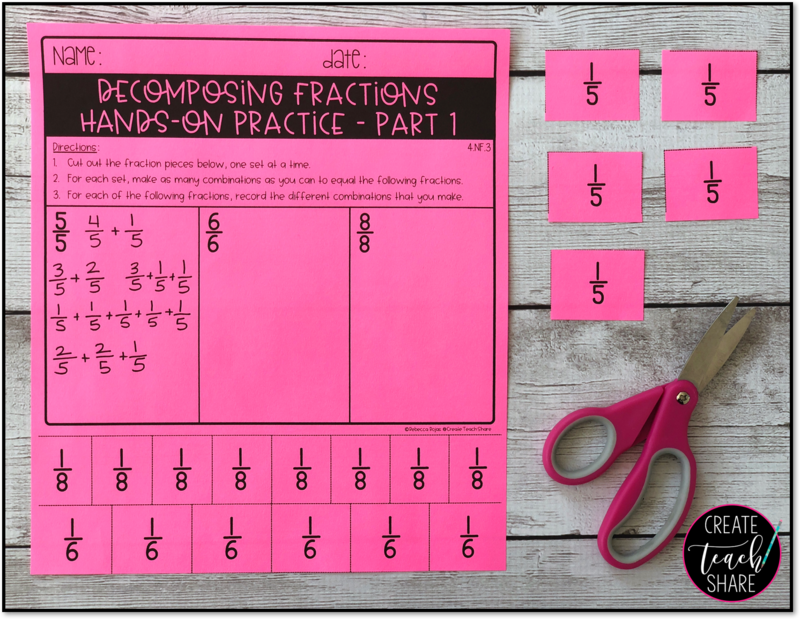 This activity is part of my Fraction Printables resource on TpT. However, you can also find a link to it HERE to download for FREE!!! 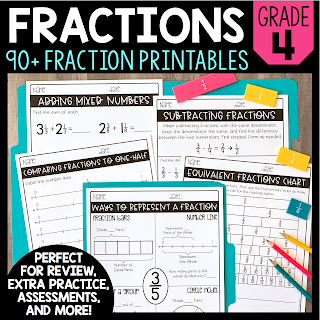 If you are looking for more fraction printables and activities, be sure to check out this comprehensive collection in my Teacher Shop!! 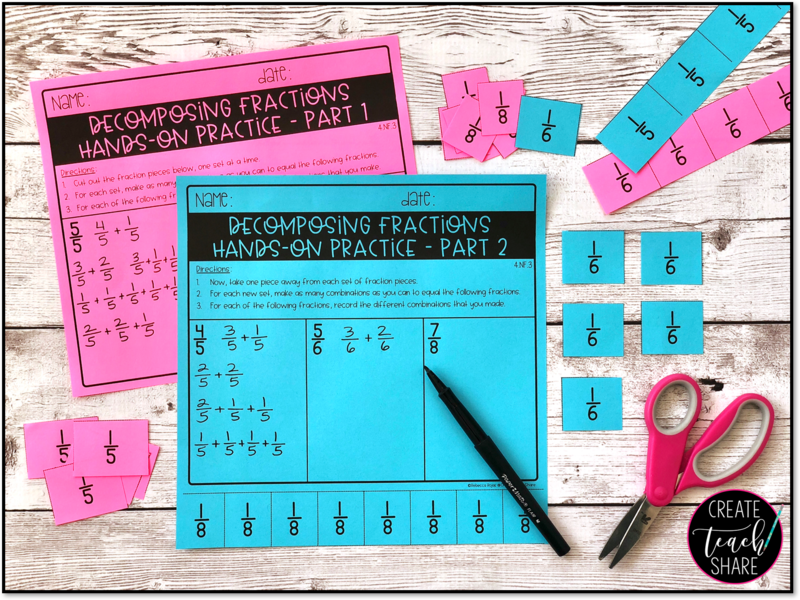 I hope that this lesson will help you and your students fall in love with fractions as much as I have!! 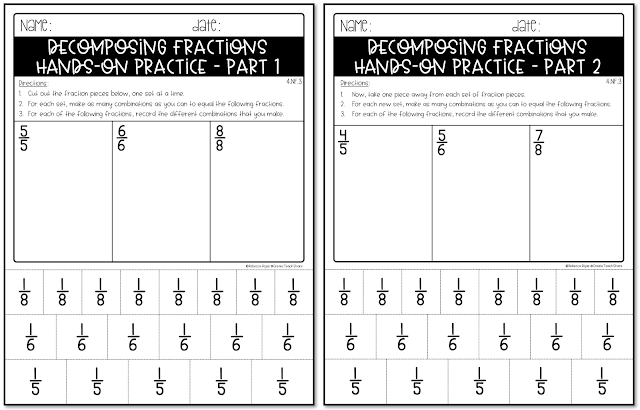 Enjoy and let the fraction FUN begin! !